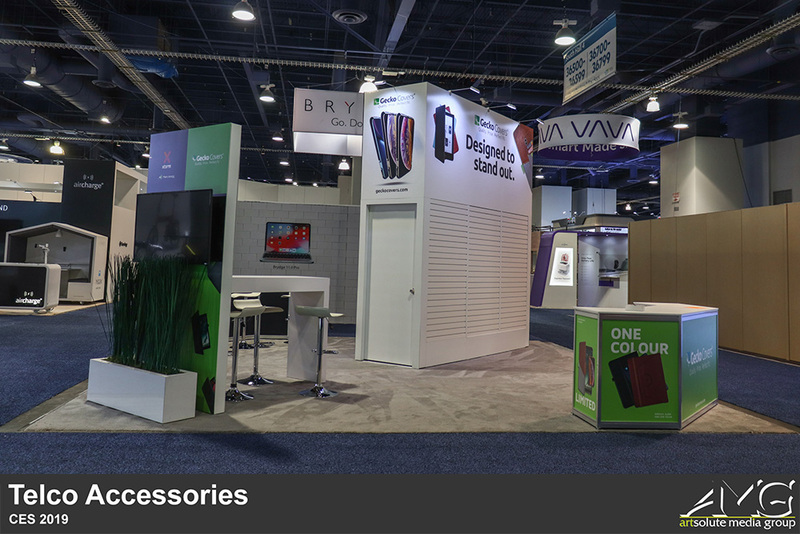 Three successful brands, three successful booths! 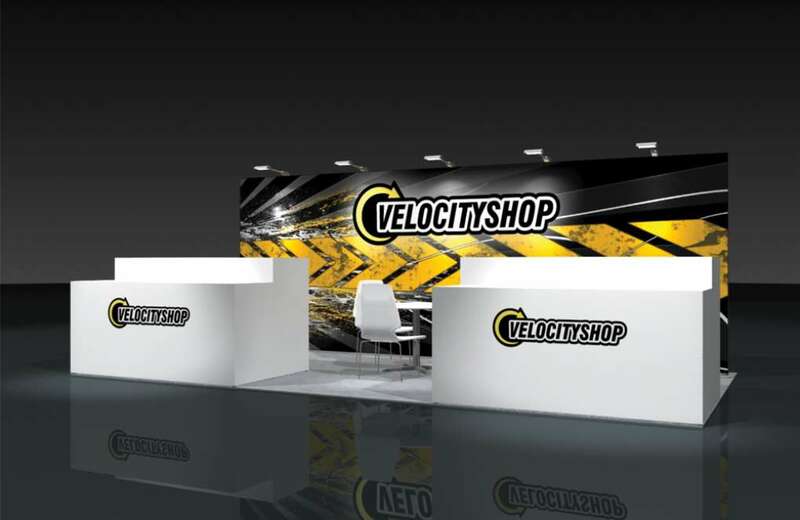 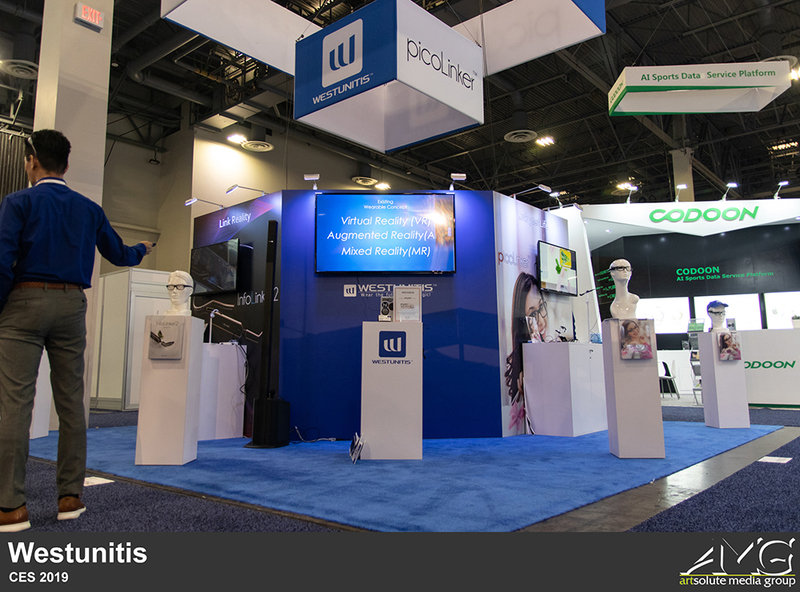 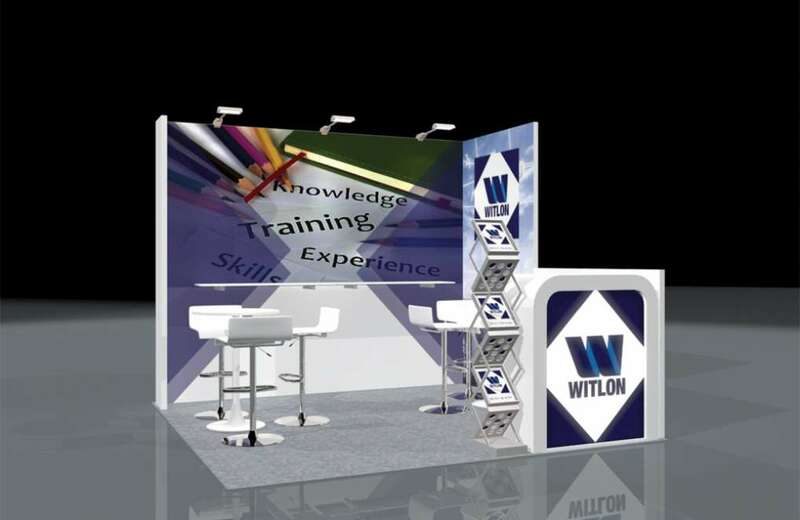 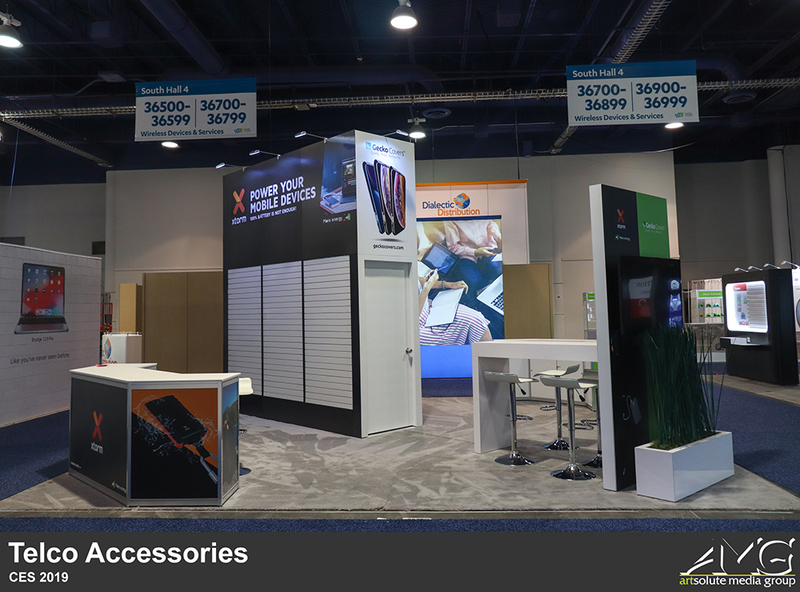 We prepared a 10 x 20 booth for Papago, two 20 x 20 booths for Westunitis and Telco Accessories. 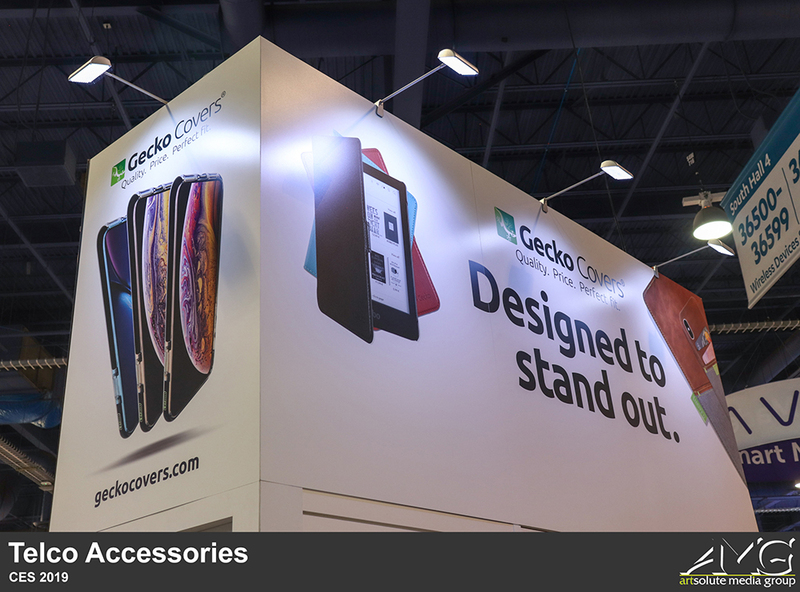 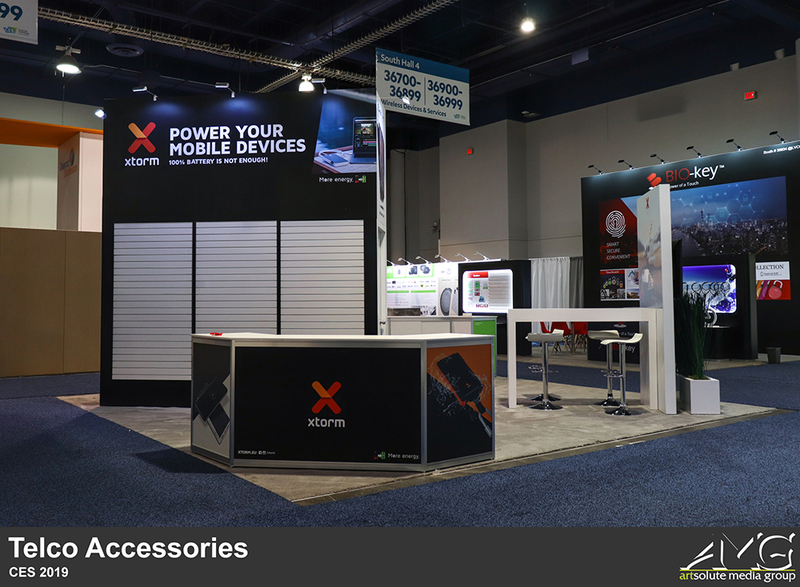 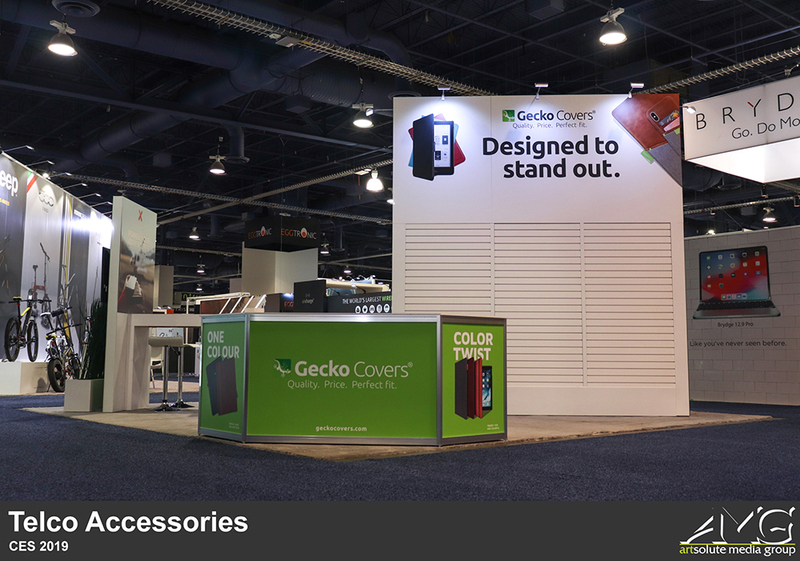 Telco Accessories’ booth was divided into two sections with a portable wall to distinguish the sub-brands of the company. 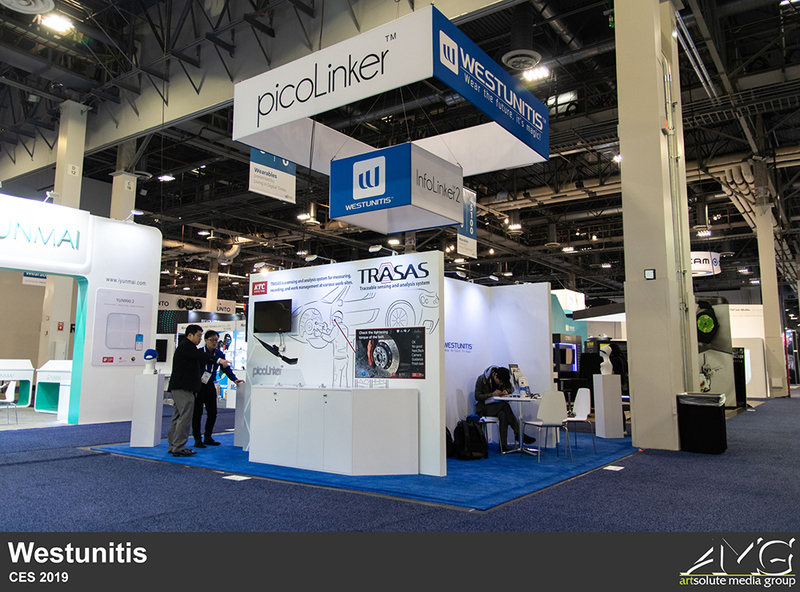 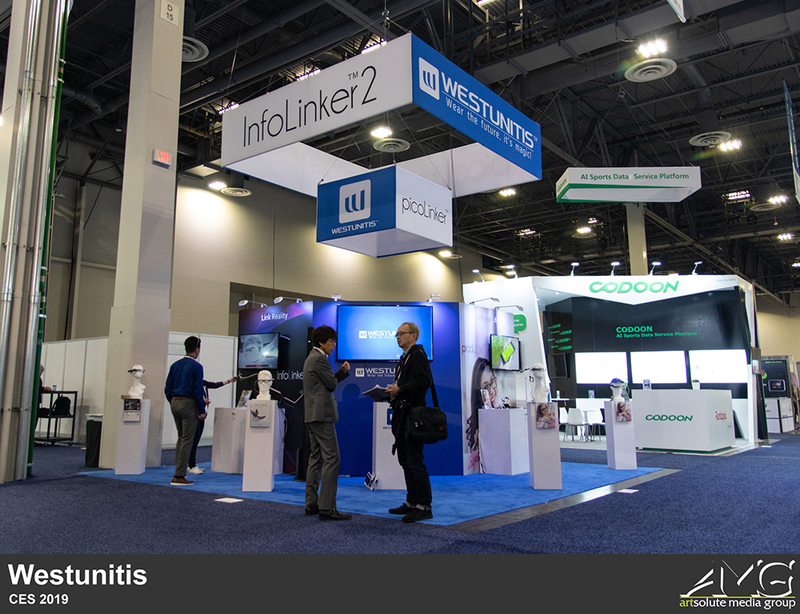 Westunitis, presented their newest achievement, InfoLinker 2, by the demonstration area that we designed specifically for their new product. 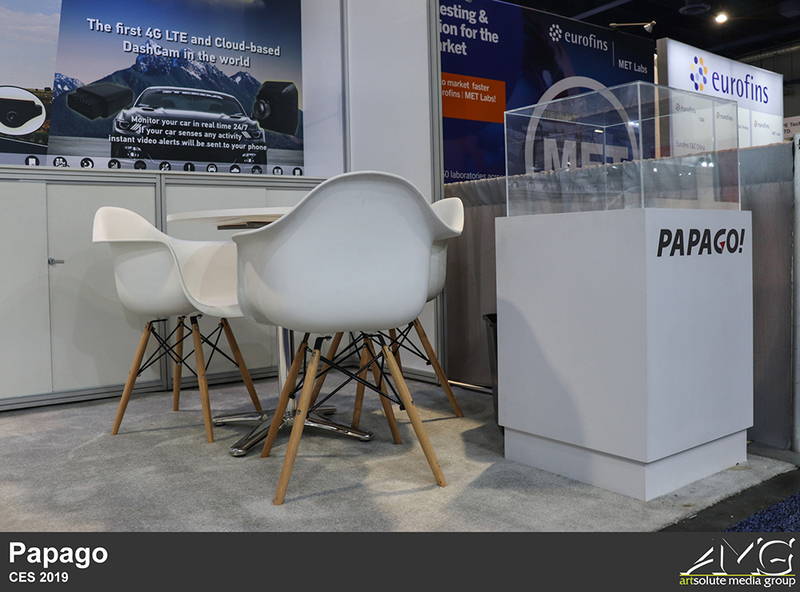 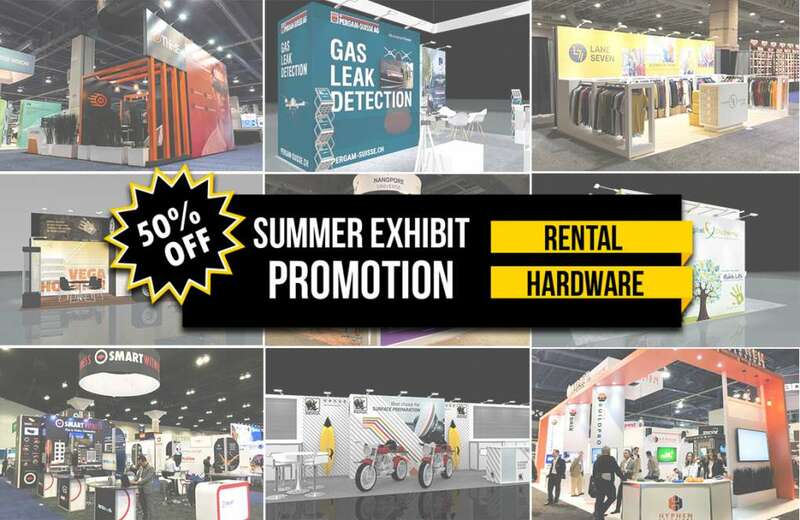 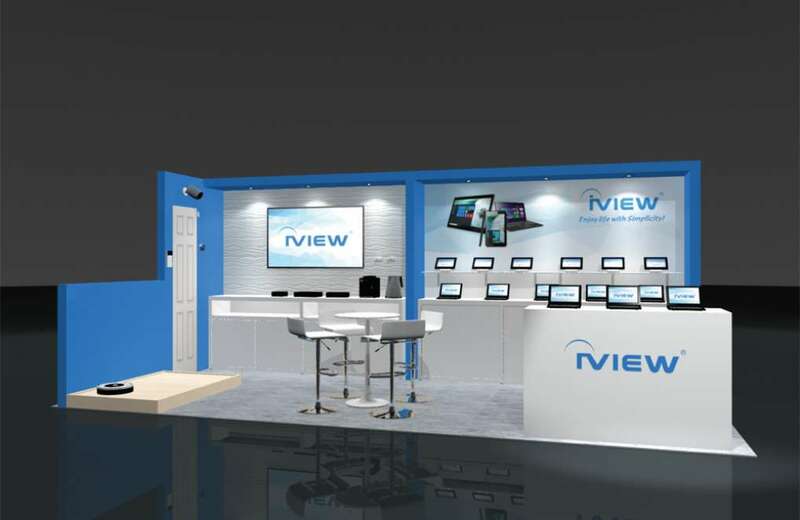 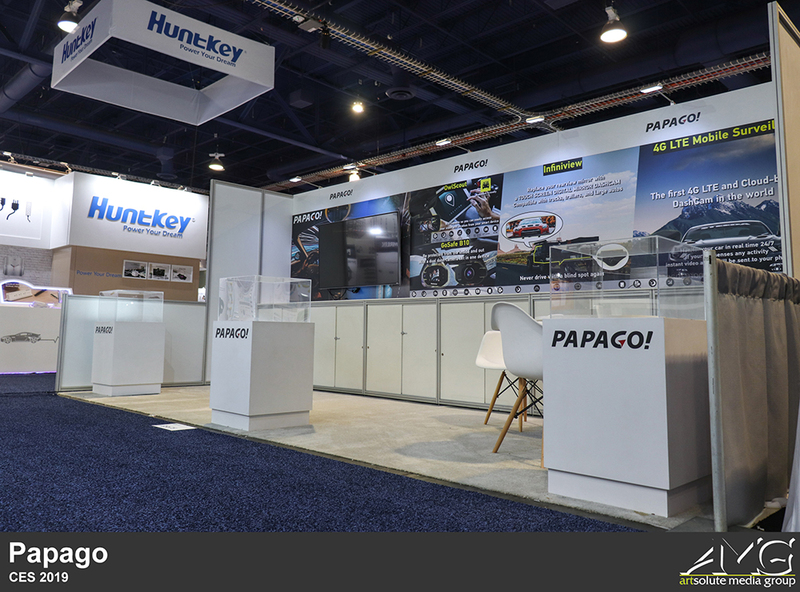 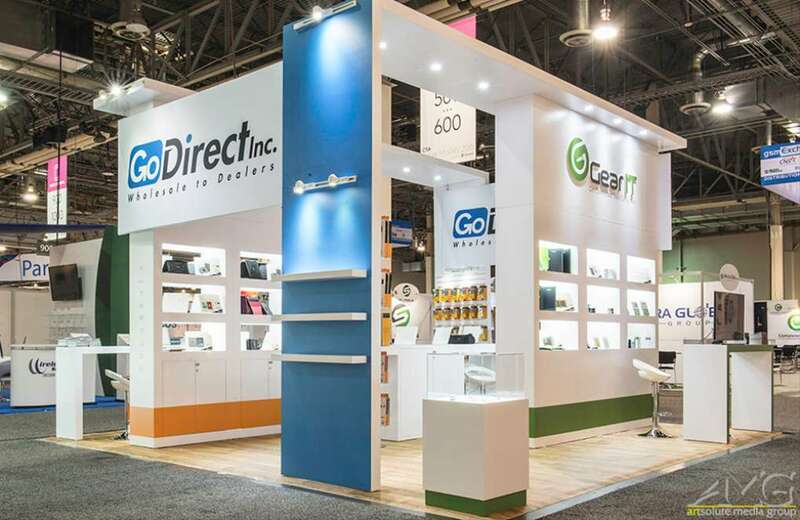 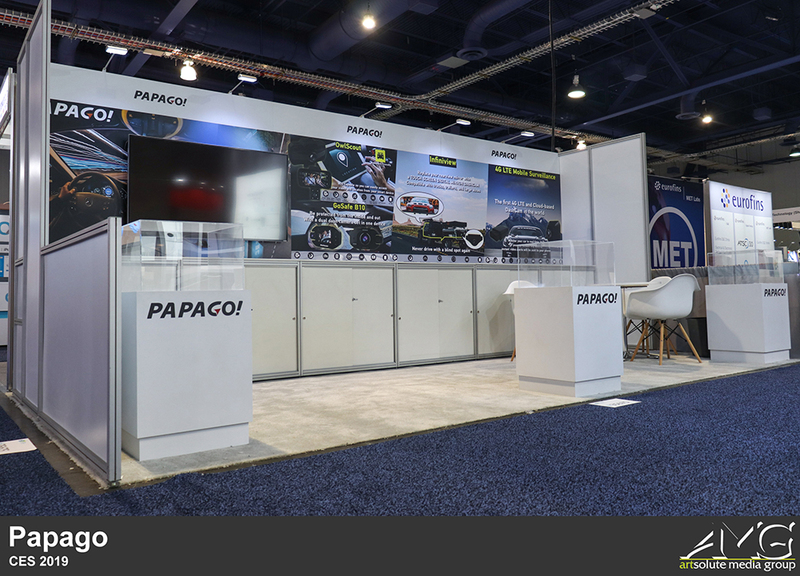 For Papago, a smaller exhibit was designed, and the mail element of their booth was high-quality graphics that showcased the brand’s newest dash cameras for vehicles.